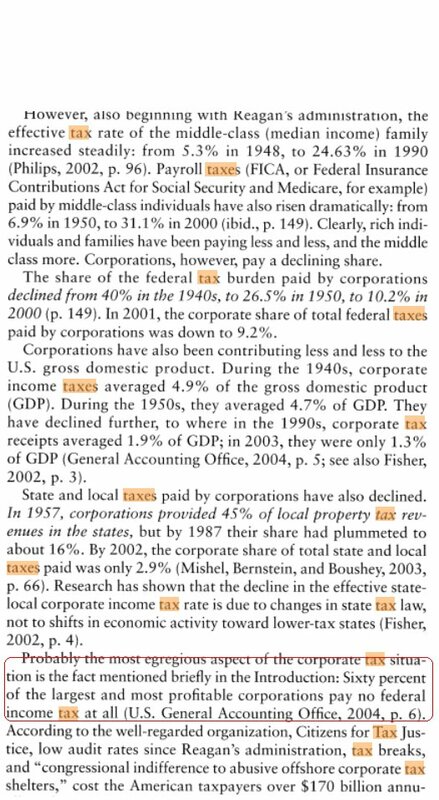 His company (Microsoft) which as you know puts out buggy, expensive software, get so many tax breaks that during many years, they don’t pay any income taxes at all. 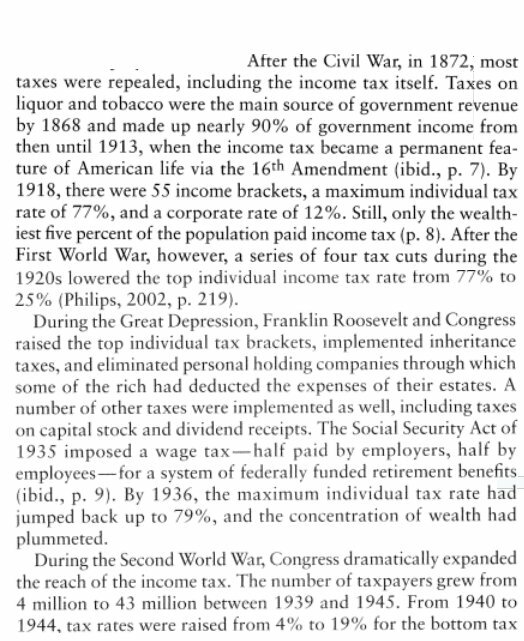 This excerpt from the book Radical Possibilities by Jean Anyon gives a little history of what’s been happening to taxes in the US over the past 150 years. I recommend it. 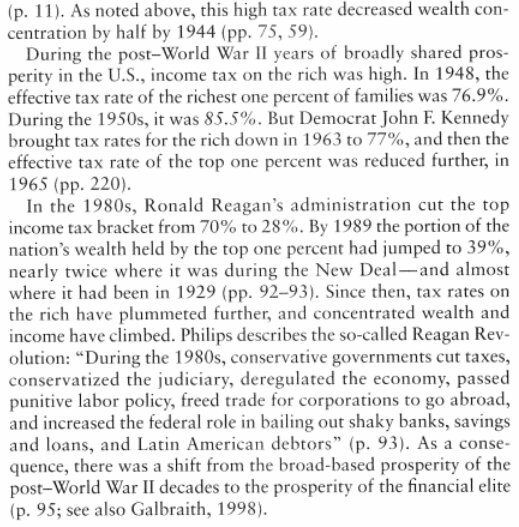 Here are a couple of pages. 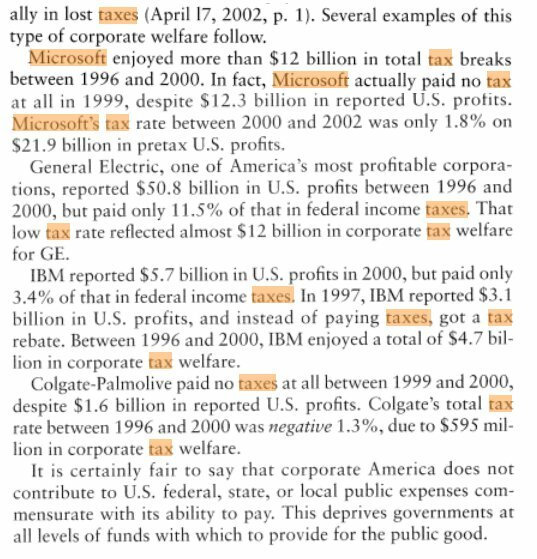 The part listing companies that don’t pay any taxes at all (including Microsoft, GE, Colgate-Palmolive) is near the end.